A panel of psychologists and educationalists with 2 decades of brain-based education, research and experience in nurturing young children both in the USA and India, designed a well conceived standard for child's outcomes', curriculum content and teacher preparation. Our teaching practices are evidence-based, integrated with all domains of learning. We study each child's skill level to design a personalized teaching experience. 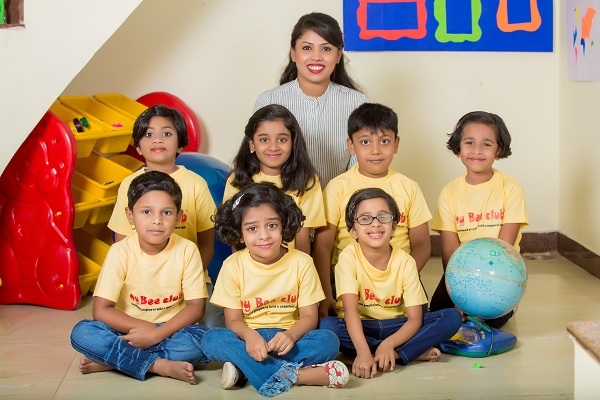 MyBeeClubTM after School Program is centred on Early Literacy Development, Fine Arts, Communication and Personality Development program which are vital skills for young children between the age group of 3.5 to 12 years. These programs are not aimed at building superficial knowledge, but employ unique and creative techniques to establish strong foundations for each child to become responsible, sociable, intelligent, confident and successful individuals. ©2018. Designed by Muthudigital All Rights Reserved.